This product is available in Flipkart, Snapdeal. 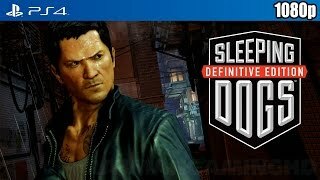 At flipkart.com you can purchase Sleeping Dogs (Definitive Edition)(for PS4) for only Rs. 1,037, which is 13% less than the cost in Snapdeal (Rs. 1,190). 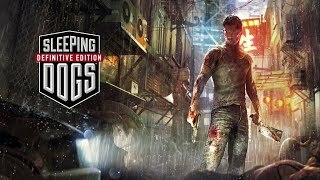 The lowest price of Sleeping Dogs Definitive Edition PS4 was obtained on April 16, 2019 6:39 am. Intriguing game. The story could have been longer but the extras cover it up. Little bit of graphical errors. All in all a must buy. awesome story. it seems like gta iv clone but its story and combat make its worth playing. First off, great packaging and delivery by amazon.This is an old game that was first release on the PS3, Xbox 360 and PC. Now, it had been remastered to play on the PS4. The definitive editions comes with all the downloadable content. The game is excellent if you like open-world GTA style action. THIS IS NOT A NEW GAME. I recommend you try it if you haven’t already. Game is awesome. You wish to buy it or get free in xbox gold membership. Amazing game i had this game already on my pc but i accidentally deleted it ! but its definitive edition !! there are few changes is shades and designs from real sleeping dogs ! but also some bugs are there too !! but it was an excellent gamethere is no additional download needed to play this game ! just to update the steam ! most of the game i bought always needed additional download but this game all the additional DL is just to update ur steam !! buy this game !! dont think t0wise !! Received the game Ontime. Great Game. Just Install the game and Connect with Steam using serial key. No need to download extra files for the game. Just update the steam and Play :).